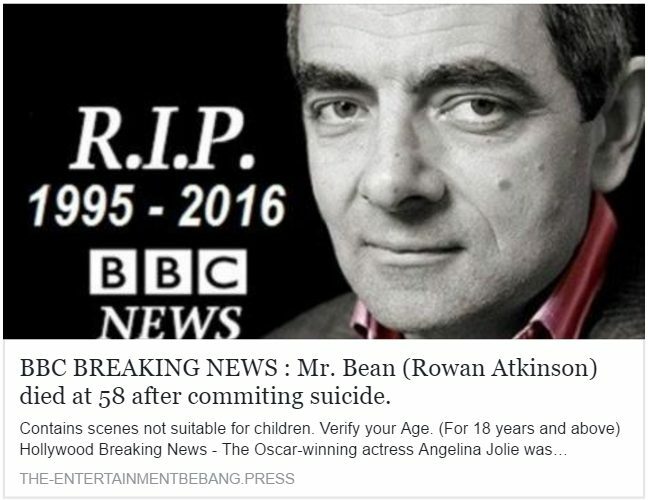 A frequently recirculated Facebook hoax has convinced many people that actor Rowan Atkinson ("Mr. Bean") either committed suicide or died in a car accident, but he is alive and well. British actor Rowan Atkinson, best known as 'Mr. Bean,' has died. Clue #1 that the information is false: In the viral graphic, Atkinson’s birth year was given as 1995. If true, that would put him in his twenties. Clue #2 that the information is false: In the viral graphic, Atkinson’s age was given as 58. In reality, he was 62 at the time (as of 2017), having been born in 1955. Clue #3 that the information is false: Nowhere, in any legitimate media, has it been reported that Rowan Atkinson passed away. The errors and inconsistencies in the hoax reports of his death are attributable to the fact that a virtually identical hoax has circulated before and has been repurposed, with little or no attention to detail, in 2016 and thereafter. The most important thing to know about it is that the hoax is also a “clickjacking” scam. 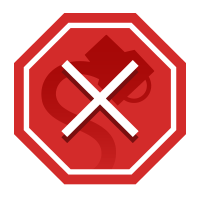 If you click on the blurb expecting to see a video or get more information, what you will find instead is that you have been redirected to another website that will attempt to get you to share your personal info, request access to your Facebook account, demand that you fill out a survey before proceeding, or all of the above.